What if your toddler could tweet before they talked? Would you want to get tweets from your toddler? Ok, most parents might like to try it for the novelty. Ok for one day, but getting tweets all day, everyday that repeat from a list of phrases would be annoying. 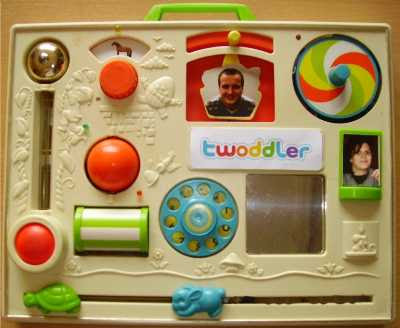 A group at Hasselt University has won an award for their prototype toddler twitter interface called twoddler. It was a project for an software development contest and details are given on their twoddler site. They now have a disclaimer on their site pointing out that it is only a prototype and is not a commercial product. But now that the idea is out there, I'm sure some geek dads and moms are busy putting another one together for their high-tech toddler. What the team did was modify a play activity center so that if the toddler played with a piece next to a picture of mom or dad the device would send out a pre-written tweet. It's an interesting project but I hope it doesn't become a real product. The world doesn't need this gadget. I heard of this on a recent 'Wait Wait Don't Tell' radio show. 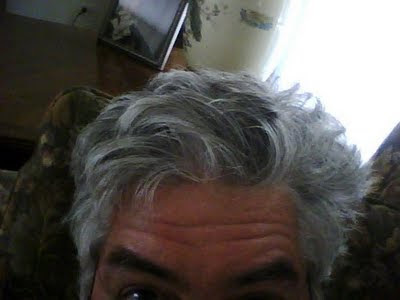 Note there doesn't seem to be any sound in this clip. * Is Tiger my daddy? I'm with you, now that the idea is out there I bet you it's just a matter of time.